P E A C E !!!! Peace Lutheran Church celebrates 125 years of serving the Wall Lake community and surrounding area. Visit www.lutheransonline.com/peacelutheranchurchwalllakeiowa to learn more about the church. St. Joseph's Catholic Church welcomes you! 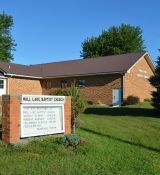 Wall Lake Baptist Church was founded in the fall of 1976. 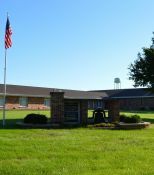 Our current building was built in 1981. Our purpose remains the same as it was then: "Shining the unchangeable Word of God in a changing world." We offer preaching and teaching from the BIble for all ages, and a close Family atmosphere. These were more noble then those in Thessalonica, in that they recived the word with all readiness of mind, and searched the scriptuers daily, whether those things were so.